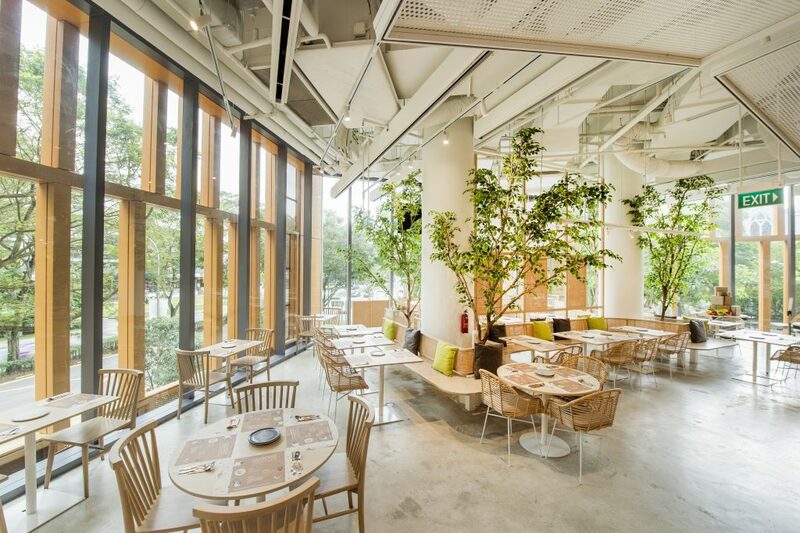 From 26 January 2019, The Great Baan Ying Brunch (#TGBYB) transports all to the Land of Smiles without leaving Singapore! Diners can indulge in popular Thai favourites that include a choice of one main course along with a buffet spread of 12 to 15 delectable appetisers, sides and desserts on rotation every week. Priced at $38.80++ per adult and $19.40++ per child (four to ten years old; kids under three dine free; child price includes a complimentary fruit juice). You can opt for the free-flow of beer and wine is available at a top up of only $29.80++ for the entire brunch duration from 11am to 3pm. 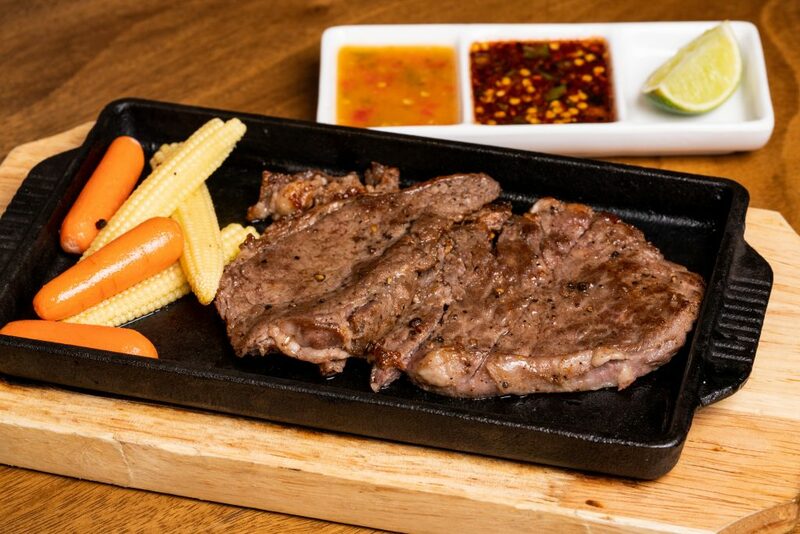 Choose from the juicy Angus Beef Steak (approx.150g) served with grilled seasonal vegetables and a spicy fish sauce- based dip originating from Isaan, North- eastern Thailand, or the succulentBone-in Iberico Pork Chop (approx. 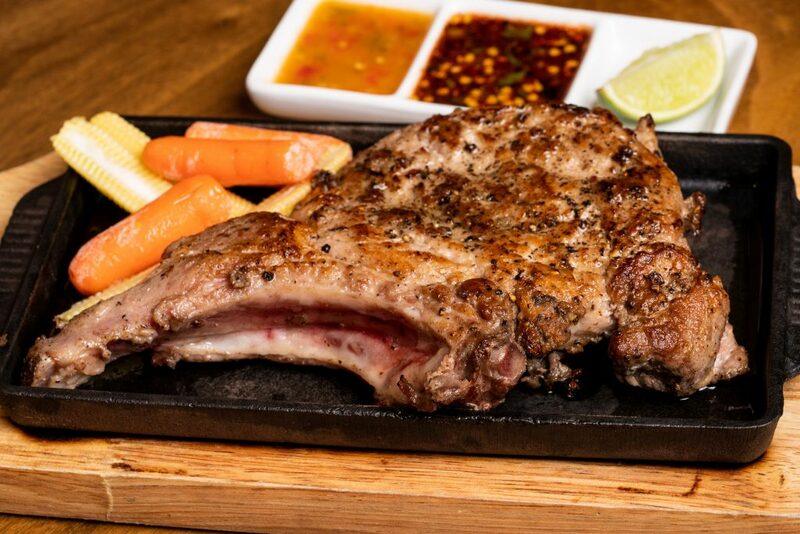 250g, additional $9.80++), perfectly marinated with Aunty Ying’s secret blend of Thai spices, then expertly pan-seared. 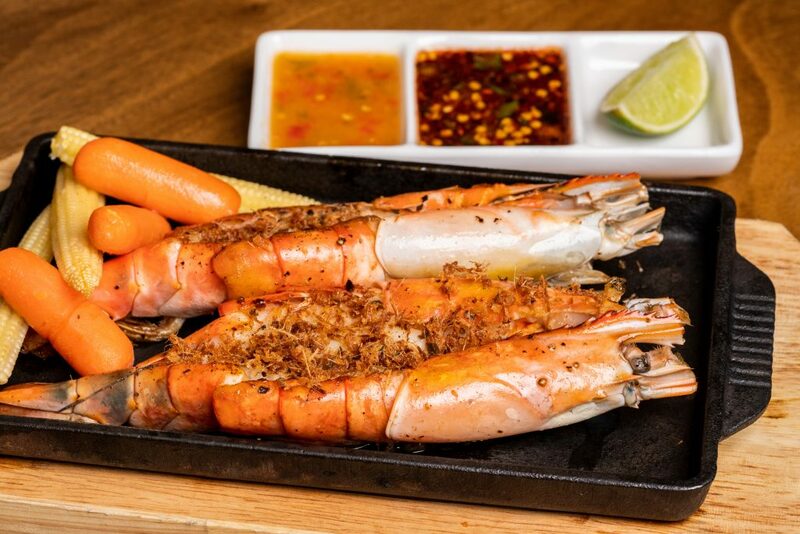 If you are a seafood lover, try the Grilled Large River Prawns garnished with crispy lemongrass ‘floss’,and Pan-fried Salmon Steak topped with fried ginger, both served with homemade Thai seafood sauce and lime wedges. The Weekend Brunch price includes one serving of main course. 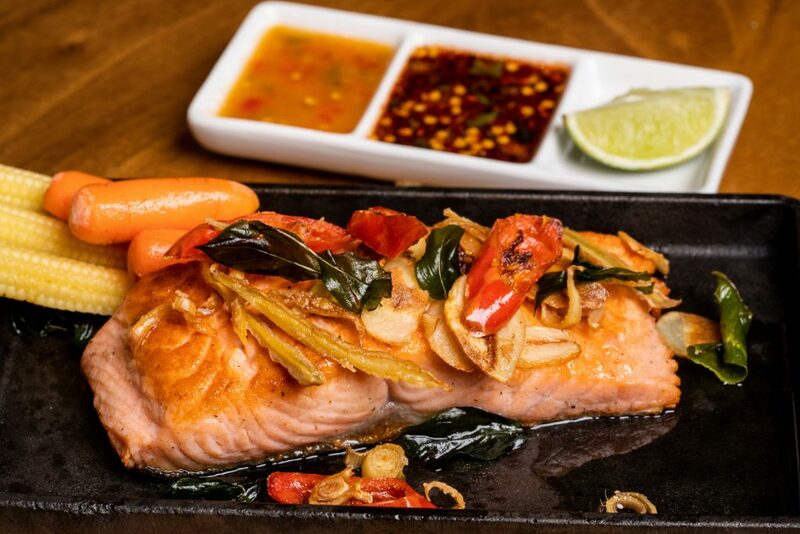 Start the meal with an assortment of homemade Nam Prik, or traditional Thai ‘dip’. Different versions are available and made with ingredients such as garlic, fermented catfish, minced pork, tomatoes and chillies. 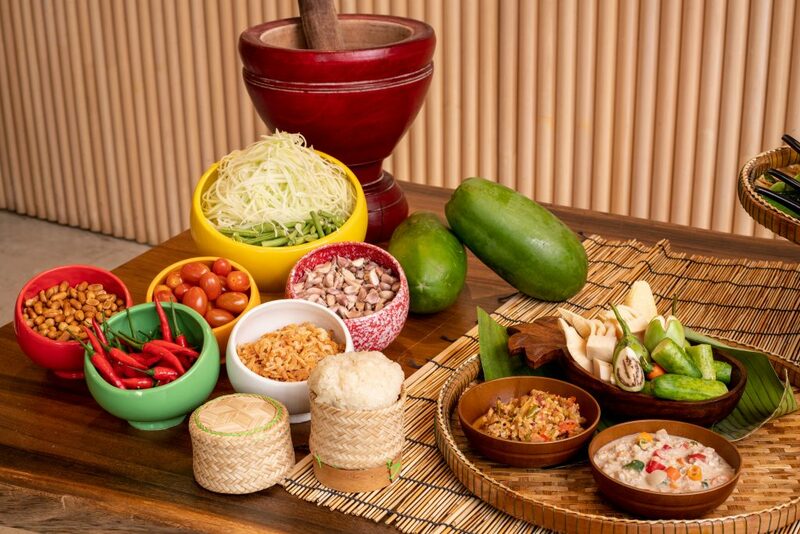 The dips are best enjoyed with raw and boiled vegetables like cabbage, winged beans, cucumber and Thai mini eggplant. 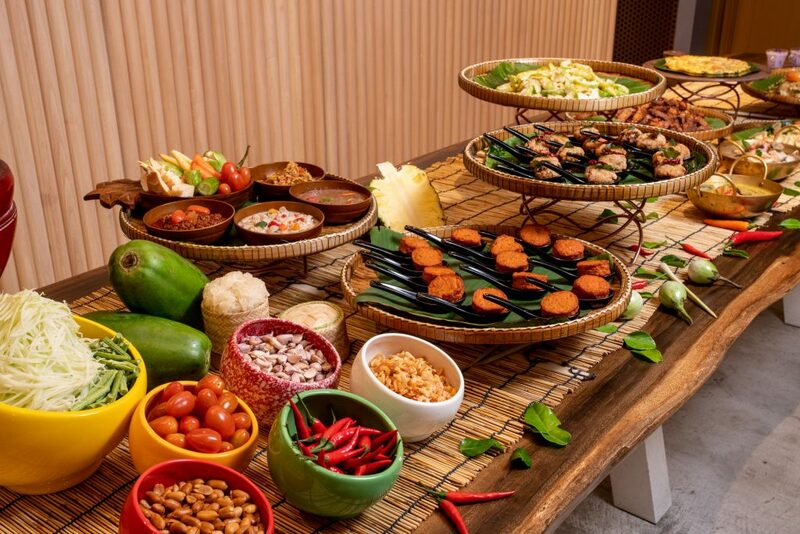 The DIY Thai Salad station is a definite highlight, where diners can mix and match their own ingredients such as peanuts, dried shrimp, cherry tomatoes, long beans and either, tangy green papaya (Som Tum) or green mango (Yum Mamuang) to toss into their personalised appetiser with Aunty Ying’s secret salad dressing. 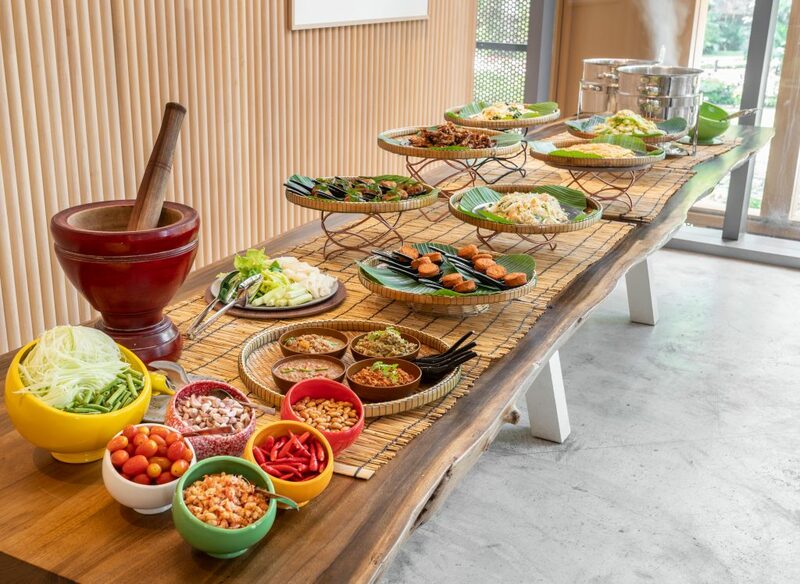 Substantial sides on the buffet spread include Pad Kalam Sai Moo (Stir-fried Pickled Cabbage with Pork), an unassuming home-style dish; Yum Woon Sen (Glass Noodle Salad); Mini Larb Moo Tod, deep fried spicy meat balls mixed with toasted ground rice, mixed herbs and lime juice; and Kao Tung Na Tung (Crispy Rice with Pork and Shrimp Dip), a traditional dish of house-made rice crackers with a rich and luscious coconut, pork and shrimp dip. In addition, a tempting line-up of curries, soups, noodles, rice as well as ubiquitous desserts such as theLord Chong (green tapioca noodles in sweet coconut milk), fresh tropical fruit and coconut ice cream make for a complete meal.